I see. This is what will kill us all. Local Siberian media has reported that the very ground that people stand on is moving under their feet in the arctic regions of Siberia. Scientists have discovered 7000 gas filled bubbles according to the Siberian Times. These, bulges or 'bulgunyakh' in the local Yakut language, were originally discovered last year by researchers in Siberia's remote Bely Island. At that time only 15 of these bubbles had been identified, but a survey in the wider region of the Yamal and Gydan peninsulas has revealed the massive number of 7000 which some scientists fear may explode at any time. There is startling photo evidence in the Siberian Times article that is worth your time to see. 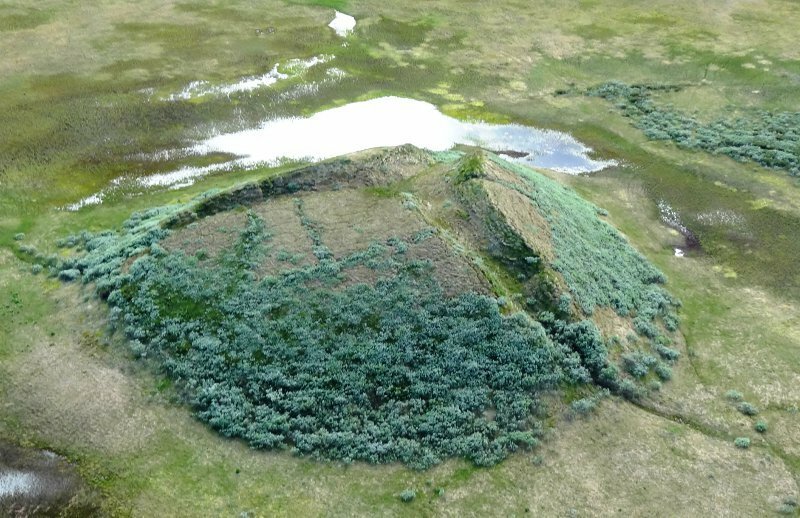 The region has seen several recent examples of sudden 'craters' or funnels forming from pingos after what scientists believe are caused by eruptions from methane gas released by the thawing of permafrost which is triggered by climate change. Our pictures and video of this remarkable gas release are seen here, although this phenomenon appears different to the exploding pingo events. These bubbles - such as one seen in our video on Bely Island - have been called 'trembling tundra'. 'Their appearance at such high latitudes is most likely linked to thawing permafrost which in is in turn linked to overall rise of temperature on the north of Eurasia during last several decades,' said a spokesman. The total of 7,000 - reported by TASS - is startlingly more than previously known. Scientists are drawing up a map of underground gas bubbles in Yamal, a key energy production region, which they believe can harm transport and infrastructure. The Ural branch of Russian Academy of Science says that thawing permafrost is a suspected reason for the cause of underground gas bubble formation. 'An early of gas bubbles was discovered during a summer 2016 expedition to Bely island,' said a spokesman. Analysis last year of the Bely island underground gas pockets - or jelly-like bubbles - showed multiple excesses of greenhouse gas content compared with average levels in the atmosphere. Methane exceeded the norm 1,000 times, while carbon dioxide was 25 times above the norm. Initial measurements had suggest methane levels 200 times above usual levels. Recently there were accounts of a 'big bang' triggering the formation of a crater on the Taimyr Peninsula. However, there was no pingo on this spot before the eruption in 2013. The noise could be heard up to 100 km away and one resident saw a 'glow in the sky' after the explosion, it was revealed.